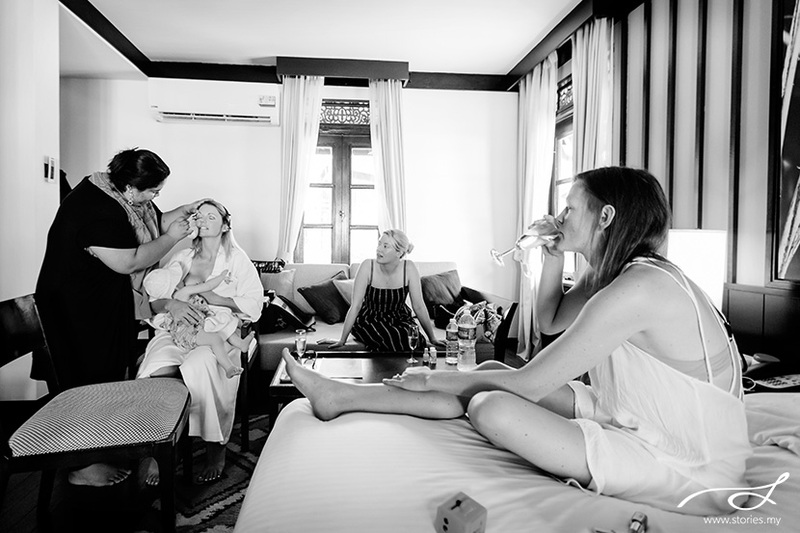 We are blown away by the city view from Nawal’s apartment in KL – the perfect spot to do a maternity shoot! I personally love visiting private living spaces for photo sessions because it is always different. 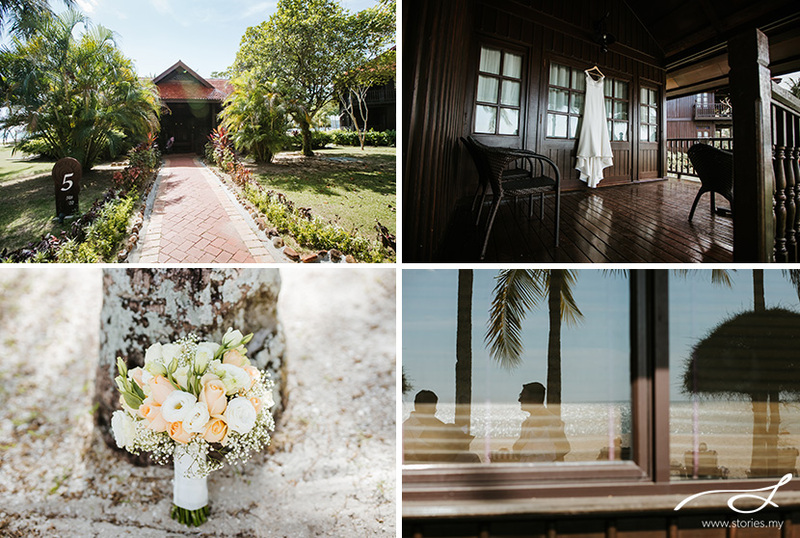 I am able to incorporate many different interesting elements into the session and hopefully, help the couple or family see a different side to their home. Thank you for inviting me and allowing me to be part of an important moment in your life. 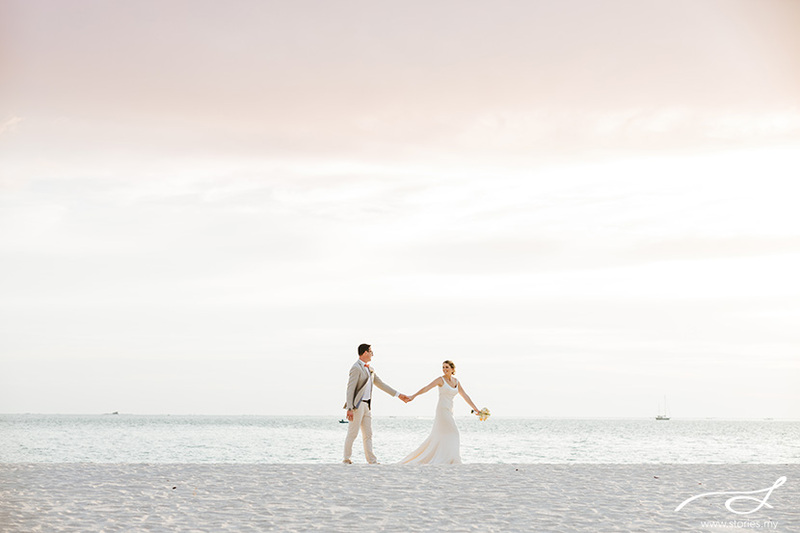 All the best to you as you enter into a new phase of life! 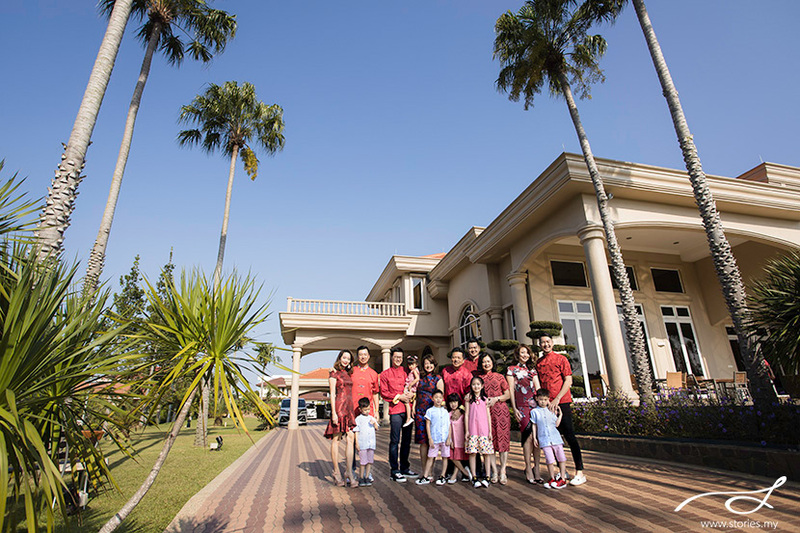 The last time I photographed this huge amazing Pang family was in 2011. At that time, there was only 1 child in the portrait. Now there are six! Everyone made sure they caught up with Pierre & Lay See. I love taking huge family photos like these, especially in places that are special or has some sort of emotional attachment to them. It’s the best place where memories are made. 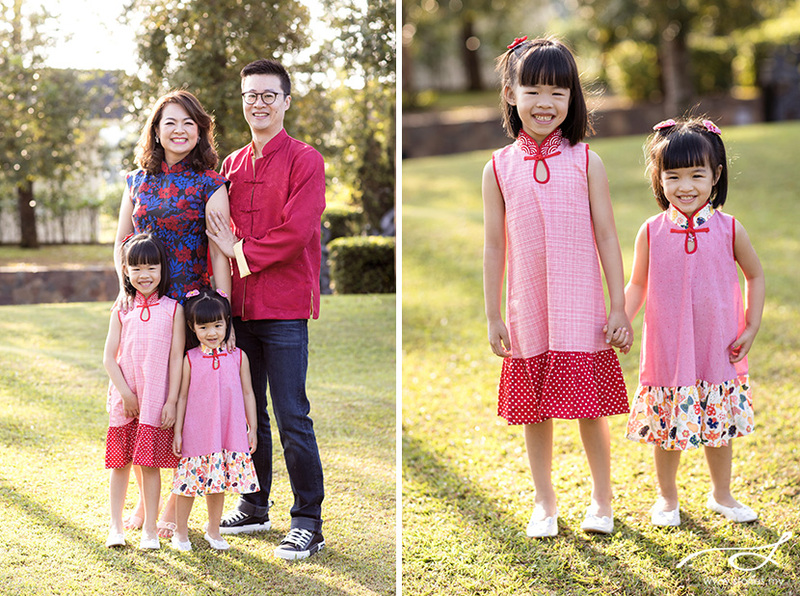 So recently, over the Chinese New Year holidays, I went back to Malacca to do a few family portrait sessions. 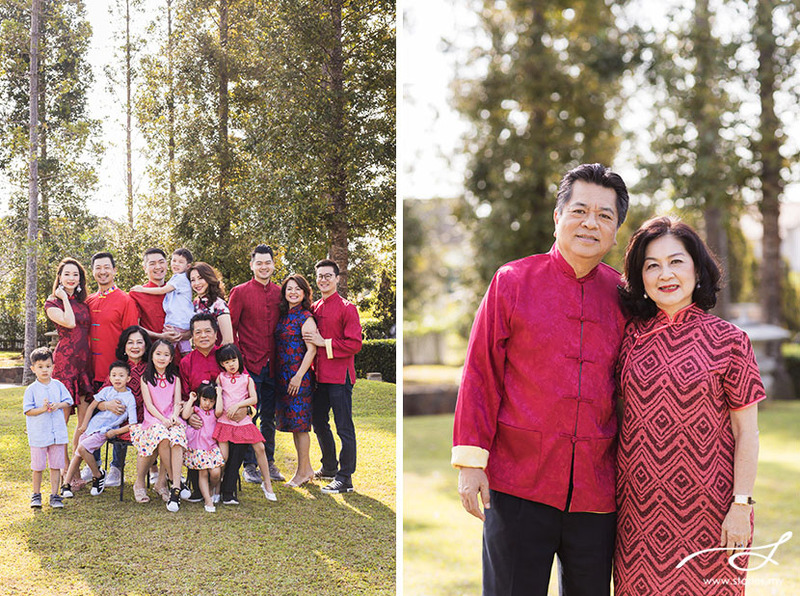 It is truly an honour for me to photograph Tan Sri Pang Tee Chew & his family. Amanda, can’t believe our friendship has spanned over 30 years. Can’t wait for our 40th birthday holiday with the girls! There are many people who have walked through our studio doors, and I have been so honoured to meet all sorts of different families, personalities and celebrities. One such person is YB Hannah Yeoh, our Deputy Minister of Women, Family and Community Development. I’ve heard her speak & share her story in church a few times. Her faith in God and her desire to do good, walk with integrity and serve the public has really inspired me. 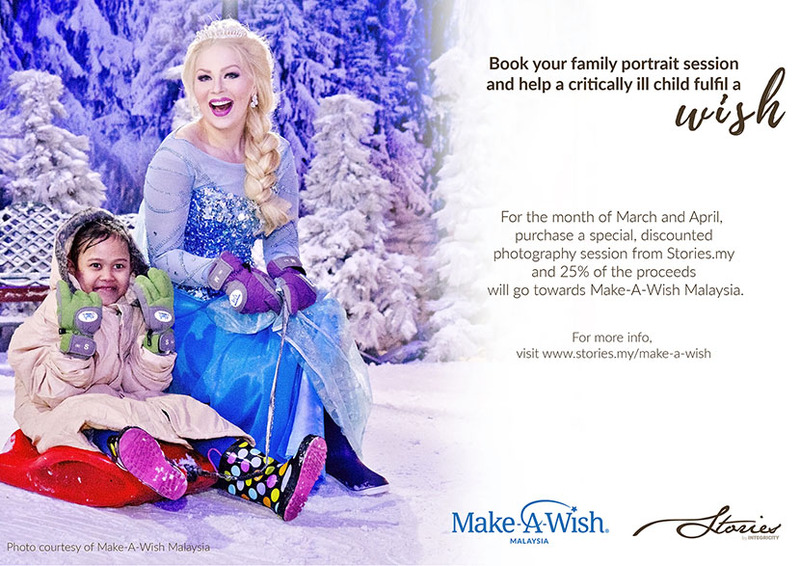 We are excited to be part of this fundraising campaign for Make-A-Wish Malaysia. Critically ill children hold a special place in my heart and we are glad that our little efforts will go towards making a child’s dream a reality. Rayyan, 6, wishes to be a policeman, so he received an experience spending the day with real sergeants in a police patrol car. Sya’irah, 7 years and diagnosed with brain tumour, wishes to see and feed giraffes. It also breaks my heart to hear from Irene, the CEO of Make-A-Wish Malaysia, that another child’s wish was merely have a KFC meal with his family. These children come from lower income families and your contribution will go towards the children from these families. Please partner with us as we support this worthy cause, to make more life changing wishes a reality for critically sick children. Their mission is to create life changing wishes for children with critical illnesses. They are on a quest to bring every eligible child’s wish to life because a wish sparks imagination, inspiration and renewed strength to help a critically sick child and family to battle the illness. When a child is diagnosed with a critical illness, the whole family’s lives are turned upside down. Families from lower income is further burdened with the cost of medicine and treatment which are available only in select hospitals. The sick child and parent are required to make frequent trips to these hospitals or remain long term patients to minimise cost and risk of travelling. Such long separation adds to the sick child’s despair and loneliness. At Make-A-Wish Malaysia, they strongly believe in the life-changing Power of a Wish. A wish is not merely something nice to have, but a wondrous journey of anticipation and empowerment. The powerful wish journey creates amazing memories that continue to inspire confidence and strength long after the wish has been granted, enabling the child and family to better cope with fear and pain associated with their fight. As a self-supported non-government organization, they rely on fundraising and donations from corporations and individuals to enable them continue their mission. Up to 2018, over 500 wishes have been granted with the help of donors and volunteers. Book any of our special, discounted sessions between the months of March – April 2019 and utilize it for your personal profile, maternity or family portrait session anytime within 2019. 25% of the proceeds will be donated to Make-A-Wish Malaysia. You will receive a receipt from both parties to ensure that your donation has gone through. If you are a previous client and would like to still be part of this campaign but have just completed a recent shoot, you can also be part of this campaign when you purchase any prints, albums or full set of high resolution images from us or if you just want to make a donation, contact us directly. Thank you for your generosity!